After watching the first episode of this anime, I'm in high hopes and is crossing my fingers for this to be another successful production by KyoAni. 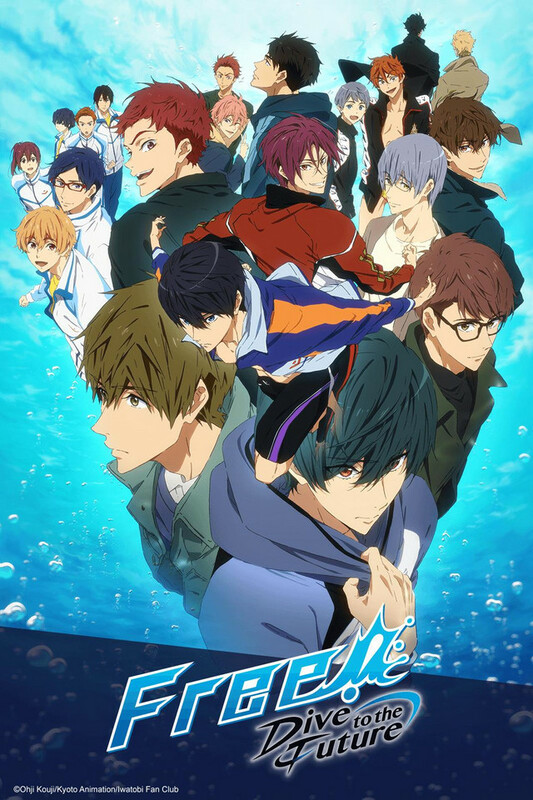 So far, the plot is nothing to look forward to since its mainly about a group of guys wanting to compete through swimming, but I will tell you this show is vastly different from other animes I've seen (so far). The amount of fan service this show provides isn't even the same as you would compare with a show like Uta no Prince or Ouran host club because I wouldn't consider this anime categorized as Shoujo. But its not much of a shounen sports anime either like Kuroko. KyoAni has made something totally different that combines an aggressive spirit of sportsmanship, friendship through slice of life, and a dash of completely appropriate moments that makes your ovaries want to explode. This is the perfect formula for any fangirl or fanboy to look forward to and if you still don't understand, I promise it will once you give it a try. This anime was great, the fact that Rin and Haruka are now rivals makes the show a bit more interesting! They are all great guys and the characters are really funny, Nagisa made me laugh a lot! Great show and I will stay tuned! It might have something to do with the shirtless guys, or the personality compatibility between the characters, or the developing plotline, or the quirky teacher, or the fact that this show is starting off to be really adorable. All I know is, this show has me hooked 100%, and I'm waiting with bated breath for the next episode. Makes my heart go Dokidoki. While some people might be turned off by the male fan-service, the first episode already delivers good character development, great and memorable moments and fantastic animation. I for one think it's great that women and gay males have a high budget show that caters to them, shows like K-ON! tend to only appeal to the stereotypical otaku/avid male anime viewer. the way it looks and the feel over all was great. i love the ending credits (there cute) cant wait to see more! i will not be disappointed by this amazing anime!